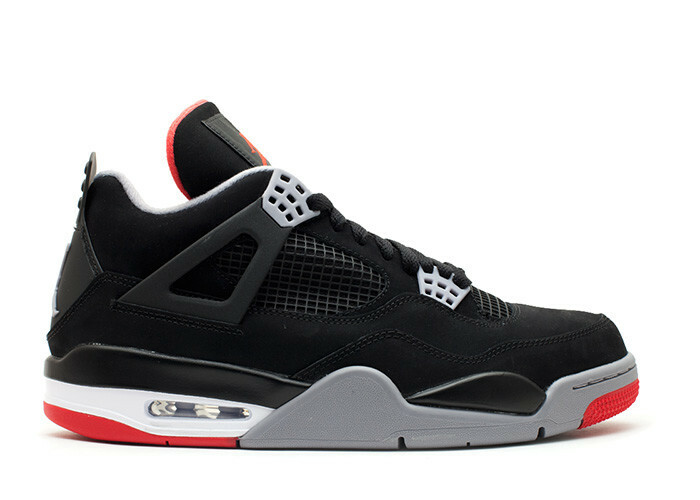 This classic color way on the Air Jordan 4 received a re retro in 2012 and released on Black Friday. The sneaker sports a full black nubuck upper with Gray/Red accents. Gray is applied onto the sock liner, midsole, and eye stay while a White midsole contrasts. Finally, Fire Red is applied onto the tongue liner, front Jumpman, and outsole to finish up this classic color way.